People that live in Florida are well aware of the mold and mildew problems that can occur inside their home. Florida has high levels of humidity which means there’s often times excessive moisture in the air which can result in mold and mildew inside and outside the home. In fact, many people in Florida have their homes professionally checked every year for interior air quality to reduce their risk of having respiratory problems. What many people don’t realize is that the quality of the air outside the home has a big impact on the quality of the air and the likelihood of getting mold or mildew inside the home. Tampa area homes are constantly subjected to rain, humidity and moisture from the ground. Our low elevation, high humidity and frequent rain showers in the summer are a cause for having mold and mildew around the house. Allowing this mold and mildew to stew and grow on and around your house can result in costly repairs if left alone. It’s recommended to pressure wash the exterior of your home including things like the pool area, yard fence, stucco siding, roof and driveway. Pressure washing your home keeps mold from building up on surfaces and destroying your investment. Cleaning surfaces outside the home reduces spores that float in the air and into your home. Simultaneously, maintaining the exterior of your house keeps your home looking nice for you and, well, let’s not forget the neighborhood HOA compliance committee! Just as paint protects a car’s body from rusting as a result of being exposed to the moisture in the air and rain, painting your home protects surfaces from getting destroyed by mold and reduces the chance that moisture will get through, rotting the wood siding resulting in an expensive residing. When your home gets repainted properly, the professional painter seals cracks that you never knew existed because they’re not visible from the ground or are just too small to see from a short distance. 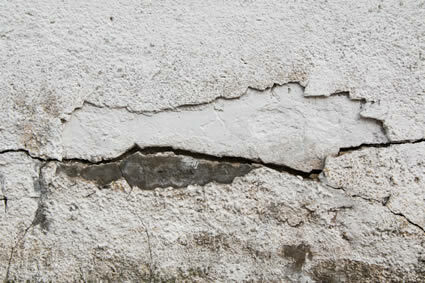 Cracks are bad because they allow moisture to seep in and behind the stucco creating large gaping cracks and holes in your home. You’re probably not out inspecting your home’s surfaces for cracks and mold. A good professional that pressure washes your home will identify issues found during the cleaning such as thin paint and cracks in the stucco to make you aware of when it’s time to repaint your Florida home to protect it from all the elements typical in the Tampa area. 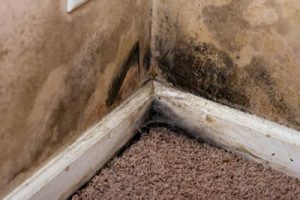 Children and pets are most affected by mold problems because they are closer to the floor than adults which is from where most of the mold and mildew issues stem. Children don’t realize that the musty odor they smell is indicative of a mold or mildew problem that will hurt them if the source of the odor doesn’t get resolved. Interior walls can offer clues to homeowners when there is a mold or mildew problem inside the home. If you look closely at your walls, then you’ll see tiny mold spores growing on your walls or at the baseboards. A lot of times people want to “freshen up” a room by repainting the walls, because they’re starting to look bad or because it will clear the air. Although painting your walls can bring newness and freshness to your home, it’s important to recognize the reason why you want to freshen up the room. In addition to painting your walls, it’s also recommended to clean your carpets regularly in months when there is low humidity so the carpet can dry fast. Another way to help dry your carpets after cleaning them is by running the central A/C at a low temperature and cycle the air with the fan. The air conditioning system will draw the moisture out of the air and out of the carpet. Don’t wait until your child is chronically complaining of headaches or shows frequent signs of irritation such as itching, sneezing, and red eyes or says the room smells funny. Pressure washing is an inexpensive proactive maintenance you can do to your home that can reduce the risk of mold issues inside and outside your home, keeps your home looking beautiful, extends the life of your home’s exterior paint and protects your investment. You should pressure wash your home every year, once in the spring and again in the fall. Why so often? When it comes to the health of your family and saving on expensive repairs, spending a few hundred bucks every year to pressure clean your home is worth every penny. When is best time to pressure wash house in N. Florida? However, if you are painting the exterior of your house, then you should always pressure wash your home the day before you paint no matter what time of year and no matter when you last pressure washed. This is to ensure you get rid of any film of dust and other particles that will prevent your paint from properly bonding to the surface. 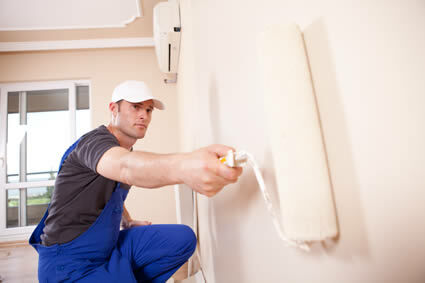 Failure to clean the surface before painting could cause chipping, cracking, peeling or bubbling.